As a member of the Bros Who Brunch crew, we were invited by Utah’s Own to join forces with the Ladies Who Lunch and make an evening at the Utah State Fair. Since this get together was one that was hatched on Twitter, naturally the appropriate name for such an event is #tasteut. 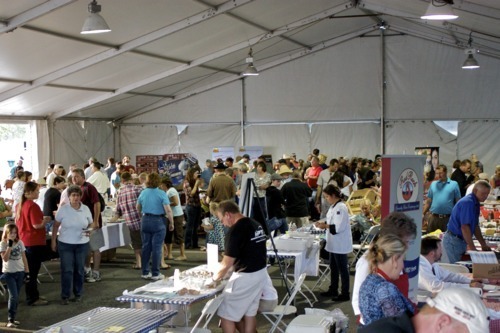 Many of the local Twitter crew showed up to sample some scrumptious products from Utah’s best food producers. 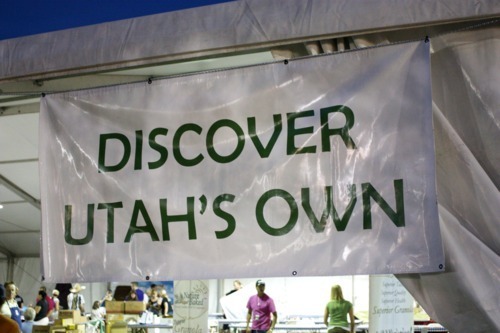 It really is exciting to see so many local food producers making such high quality products that are making Utah stand out from the crowd. I’m going to highlight a few of my favorites from the night. Keep in mind this list isn’t comprehensive. It was a sweet treat to find Liz Butcher of Butcher’s Bunches at the event. I absolutely love her jams. She takes jamming to a whole new level with her innovative and daring ingredient combinations. Some of my favorites of the evening: Ramblin Raspberry, made with raspberries, organic vanilla beans, cinnamon, and lime juice. Also, the Back in Black, which is made with raspberries, blueberries and Amano dark chocolate. Decadent. 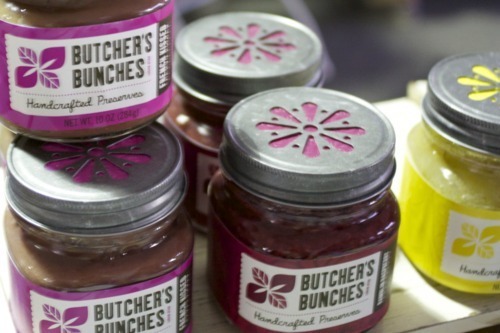 One of the most impressive things about Butcher’s is that she uses no added sugar to make her jams. The only sweetness she relies on is the sweetness of the heirloom fruit. As she says on her website, you may pay a little extra for a jar of her jams, but it’s because you’re paying for a jar of fruit instead of a jar of sugar. 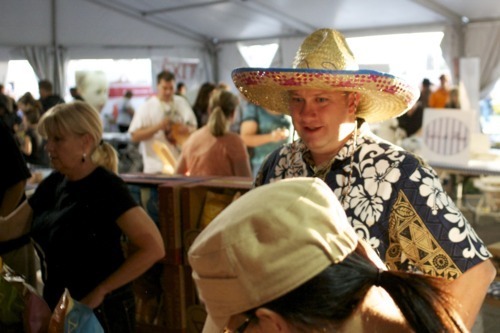 Gringo Guacamole is another fun new company based out of Woods Cross. They have been selling at the Bountiful farmers market, but they made their official debut at tonight’s event, and if the buzz from the crowd is any indication, they have a winning product on their hands. 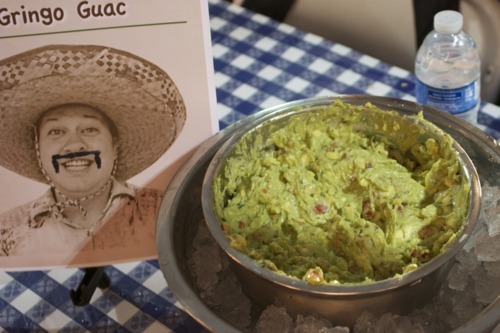 Rich and creamy guac is their specialty, and they are doing it right. Can’t wait to hear more from them as they grow. 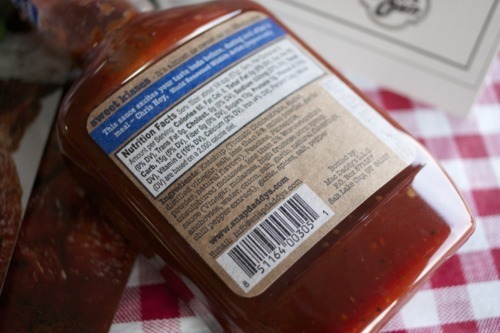 If you’re looking for a little bit of sass (from both the product and the owners) look no further than Snap Daddy’s Bar-B-Que sauce. The creator of Snap Daddy’s had lived in Texas for over twenty years, when a job change moved them to Utah. Unsatisfied with the BBQ in Utah, he went to work perfecting his recipes, and I think he’s done it. They offer three flavors. Original (“So good you could slap yo Mamma”), Sweet Kisses (“It’s almost as sweet as yo Mamma’s”) and Slappin’ Hot (“It’s like Mamma when she’s mad”). Every sauce was nicely balanced between tangy, sweet, and spicy. Even my Texas born and raised friend was really impressed with their sauces, which says a lot. Of course, the star of the show in my book was the Slide Ridge Honey booth. I really love the Slide Ridge story. At age eight, Martin James was fascinated with beekeeping. So much so that he talked his mother into taking a beekeeping class at Utah State so he could go with her and listen in on the lectures. Their operation continues to grow, and they produce some of the best honey out there. In fact, my company uses Slide Ridge honey in many of our specialty chocolates. 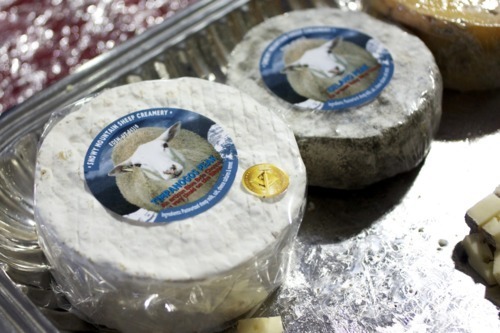 But they have a “new” product that is generating a lot of buzz among the food world. I put new in parentheses because in reality Martin has been developing and perfecting his honey wine vinegar for over seven years, and this is the first year that it’s being made available. And it is absolutely worth the wait. I’m going to write more extensively about the honey wine vinegar in a future post, but suffice it to say, it is a light, bright and sweet golden vinegar that is good on just about anything, from sweet to savory. Many local chefs are reducing it and using it as a topping on their desserts. Others are cooking their vegetables with it. 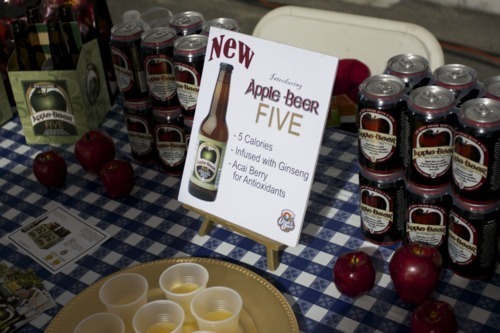 If you haven’t tried it yet, stop by Caputo’s to try a sample and pick up a bottle. At $20 for a 8.5 oz bottle it isn’t cheap, but a little goes a long way and truth be told I would pay double for this liquid gold. You can find recipe ideas here. A huge thanks to Seth and Tamra of Utah’s Own for organizing this massive event. The locally-focused food scene is alive and well in Utah, and the amazing turnout tonight is evidence of that.